77% of its deposited students for the fall enrollment cycle clicked through an email sent by Capture. 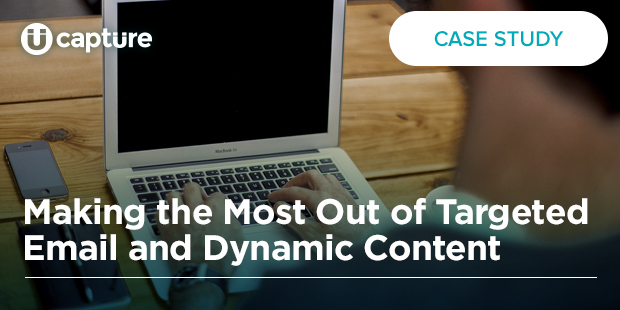 58% of prospective students who clicked through Capture’s dynamic content went on to complete an application. Since 2011, Capture Higher Ed has designed and implemented innovative marketing platforms and services for higher education recruitment and enrollment management.